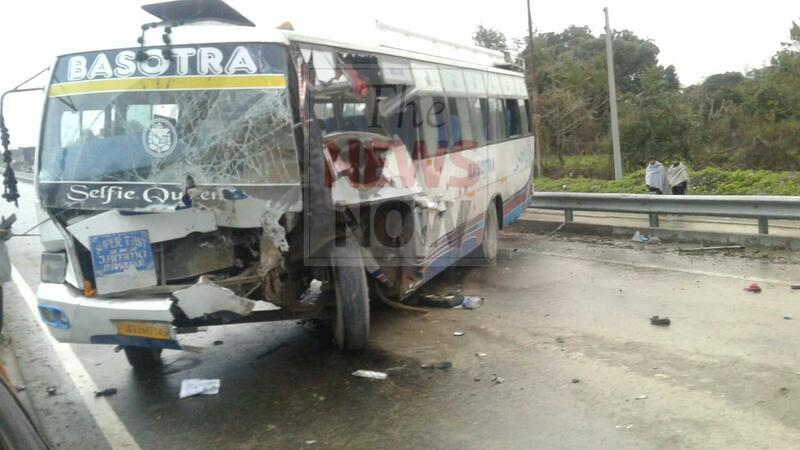 Jammu, Feb 6: At least seven passengers suffered injuries when a bus ferrying them collided with a tractor trolley near Hiranagar tehsil of Kathua district in Jammu and Kashmir. "A bus on way from Billawar to Jammu this morning hit with a tractor trolley at Hiranagar near Sai Baba Temple," police sources here said. They said that at least seven persons suffered injuries and were rushed to Sub District Hospital, Hiranagar from where they were referred to the Government Medical College Jammu. Injured persons were identified as Anil Kumar, 25, resident of Sallan, Vijay Kumar, 32, of Pala, Rampal,55, of Banyar, Surinder Singh,40, Bodara, Ratan Chand,67, of Lakhri, Arun Singh, 20, of Kishanpur and Karnail Chand,40, of Paranjali.